Welcome to our Love a Dachshund Site. Have you seen our New 2019 Pup's? They have just come in they are a lot like our 2018 pup's but even better they eat less and run more on Solar. They are great for long walks, chasing Rabbits and playing on the beach.They come in a lot more colors they have 4 on the floor, power steering, Cruise control, 3 types of upholstery, Long, Smooth, and Wire and they can run for miles before refueling. So if you want one of our Highbred puppies Please come in for a test run and talk with our Owner/Manager/Sale's & professional cleanup person Linda she will help you find just the right Low Rider that will fit your needs. Please email or call because we are trying to make room for our 2019 model and the play ground is getting full they are going fast so hurry. There will be more new model puppies available off and on year round so keep watching our web site for up coming litters. We do have puppies that can go to their new home now. 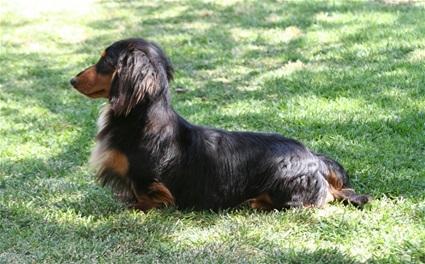 If you are truly wanting to see some of the Best Dachshund's in California you have come to the right place. We have more Champions & Grand Champions in our blood lines than most any Breeders that we know of. So if you are wanting some of the BEST bred Dachshunds around you have come to the right place. If you do not believe me just come by and see for your self. You will be Happy you did. And most likely you will not want to leave. We truly LOVE our Dachshund Kids and you will too. So come by for a visit it is not Disneyland it is Puppyland and you do not have to pay to get in, or for parking. So see you soon and drive safe. Come and visit us and our BIGGUN BIGGIE'S anytime. 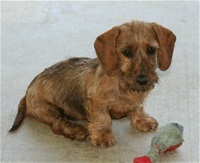 Plain and simple you have come to the right place, we have some of the BEST Dachshunds in California GUARANTEED. Please go to info page before you buy a puppy any where. You will be glad you did. Pedigrees are the key to saving a lot of money, and having a great companion for life. I am very sorry to let those of you who want one of our Dachshund Babies know that I do not ship! I would like to thank all of you for your kindness, and taking the time to look at our web page.